After making one of the biggest decisions of your life – whether or not to buy a home – you took the plunge and became a homeowner. But after a few years of homeownership you now find yourself facing yet another big decision: should you refinance your mortgage? ● You’ll lower your interest rate: Lowering the interest rate on your mortgage can save you thousands of dollars throughout the life of your loan. ● You’ll lower your monthly mortgage payments: Securing a lower monthly payment means that you’ll be able to save money on your mortgage bill every month. At the same time, the length of your loan may be longer once you start refinancing your mortgage. 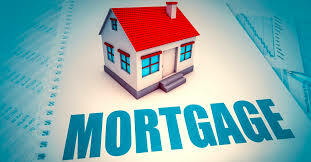 ● You may get a better loan overall: Changing your loan type can mean going from a fixed-rate mortgage to a variable rate mortgage or vice versa. It could also mean changing from a 20-year amortization schedule to a 25-year amortization schedule. Do any of these reasons feel relevant to you? Read on and find out more about whether or not refinancing is for you. Is Refinancing the Best Move for You? Once you understand why you might want to refinance your mortgage, it’s time to break down the mortgage lingo. This will give you a deeper understanding of mortgage refinancing and help you find the best loan. Interest rates for loans may feel like arbitrary numbers, but mortgage interest rates are important because they can increase or decrease the cost of your mortgage. For example, if you took out a mortgage for $360,000 with a 4% interest rate and a 25-year amortization schedule, you would pay a total of $210,000 in interest during the life of the loan. If the interest rate were to increase to 4.5%, then you would pay an additional $30,299 for a total of $240,299 in interest during the life of the loan. So, even though it may seem like 0.05% is a small amount, the interest rate percentage – even less than 1% – is an important factor. As you can see, refinancing your mortgage to secure a lower rate is a wise idea. 1. What is the new interest rate? 2. How much will you pay in fees? 3. Will you save money or at the very least, not lose money? For example, if you have an interest rate of 5% and can save $10,000 over the life of your loan by refinancing with a rate of 4.75%, then you should make sure that the refinancing fees are less than $10,000. Lower mortgage payments may provide you with immediate relief if you’re focused on paying other bills, eliminating debt or building savings. Refinancing your mortgage may also be a great way to secure a lower monthly payment. Some of the fees associated with refinancing include title insurance, legal fees, and application fees. Also, if you break your contract during your current term, you will incur prepayment penalty fees. Here’s how it works—if you have a fixed-rate mortgage, you’ll be paying whichever is greater: three months’ interest or the interest rate deferral. What’s interest rate deferral? It’s the difference between the interest rate on your current mortgage term and today’s interest rate for a similar mortgage. If you have a variable rate mortgage, you’ll pay three months’ interest. While fees shouldn’t deter you from refinancing your mortgage for a lower monthly payment, make sure that you will actually save money with your new loan. Lower mortgage payments are wonderful, but they often go alongside a longer loan. Before you refinance your mortgage, you might want to check the length of your new loan. Here’s how it works – the longer the loan, the more interest you’ll pay. So, if you have 15 years left on your mortgage and refinance to a 25-year amortization schedule, you’ll probably have lower monthly payments,but you’ll likely pay more in interest throughout the loan term. If this sounds complicated, just remember: a longer loan typically equals more interest. Should You Refinance to Another Type of Loan? Changing your loan type can be a great way to save money on interest, decrease the length of your loan, or secure more favorable terms. Here are a few things to keep in mind if you want to change your loan type. ● Interest savings: Even though it may be tempting to focus on your monthly payment and how to reduce it, a lower interest rate may be the key to saving you more money in the long run. That’s why changing your loan type and decreasing the length might be a smart financial move, even if your payments remain the same. ● Length of loan: Don’t forget the most important rule about loan length: the longer the loan, the more interest you’ll typically pay. There are many different loans to consider when it comes to refinancing your mortgage. Here are a few loan types you may want to think about if you’re looking at refinancing. When it comes to changing your loan type, keep in mind that it’s most important to find the best loan for your situation and goals. Refinancing your mortgage is a big decision. After exploring your options and experimenting with the numbers, you’ll be ready to make an informed decision that takes into account both your short-term and long-term financial goals.